Welcome to AJA 50+ online registration. Buy your membership and register for programs here. Online registration for Summer 2019 programs opens April 25. -Each person must use a unique email address. This is our way of identifying you. If you are already an AJA 50+ member, please use the email we have in our membership database (this is the address on which you receive your weekly updates). -Each member must register and pay individually. This means couples must register and pay separately. Membership is required to register for programs. Please purchase your membership, if you have not already done so, when you register for programs. Membership year is Sept 1- Aug 31. Programs are arranged by day and date. Step 1) Click on day for list of programs. Step 2) Click on photo for program details. Step 3) Click on ‘Add to Bag’. Your Order Confirmation is your confirmation of registration in the program(s). 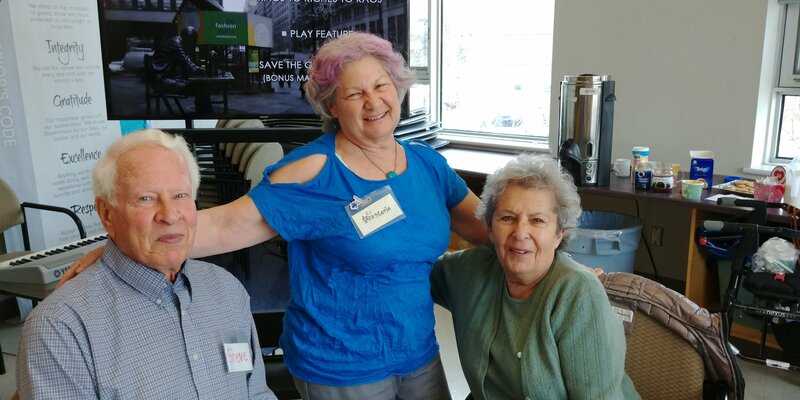 Senior members of AJA 50+ and the SJCC enjoy a weekly day of social, educational and recreational activities.The program offers a chair exercise class, discussions, lectures on various topics of interest and music presentations. This year, lunch and a fresh fruit snack are included in the program fee. Meet new friends and enjoy a great day of activities. Note, this is not a drop-in program.Registration is required. New participants, please speak with the co-ordinator, Merle Haltrecht-Matte before registering.